This past Wednesday during the January International Gift & Home Furnishings Market at the AmericasMart, we celebrated the grand opening of our new permanent showroom with a ribbon cutting. Pictured is Smart Living Home & Garden's Director of Marketing, Andrea Bologeorges, and the VP of Leasing at the AmericasMart, Jill Ford. Smart Living Home & Garden has been exhibiting at the AmericasMart for three years and was previously located on Floor 10 in Building 2, The Gardens. Our new permanent showroom on Floor 9 (still located in Building 2, The Gardens) boasts an open layout, increased square footage and a freshly designed space. Our Marketing Team developed a merchandising strategy that we believe sets our booth apart from the rest. You'll find creatively displayed products by category, lights illuminating from the ceiling, and a game of darts nested above a wide bucket of La Croix waters should you choose to unwind. We're incredibly proud of our new space, and we hope you visit us in Atlanta at the AmericasMart soon! Have you checked us out on Houzz? 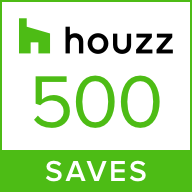 The Houzz community has saved our photos to their ideabooks over 500 times, and we're excited to highlight this awesome company with you. Houzz is a platform for home remodeling and design, bringing homeowners and home professionals together in a uniquely visual community. Browse rooms you would love to create in your own home and shop for goods and services that you see - it's that simple! Our three brands: Smart Solar, Smart Living & It's Exciting Lighting are all being featured on Houzz. Check us out, shop our brands and create the "Houzz" & Garden of your dreams! We are pleased to announce the acquisition of It’s Exciting Lighting, an innovative wireless LED lighting company founded by serial entrepreneur John James Murphy. Smart Solar has acquired all assets including intellectual property rights of the entire range of IEL products existing and in development. This new addition to the family allows us to further expand our innovative LED technologies to create a new indoor wireless lighting category as well as integrating with solar whenever possible to enhance our options for our outdoor customers. Additionally IEL will allow us to expand in a less seasonal market segment and leverage our existing buying and in-stock offerings. We are pleased to welcome John Murphy as our new Vice President of Sales & Marketing and Julie LaMontagne as Regional Sales Manager. John will handle all aspects of IEL and Smart Solar focusing on the large mass market accounts working in conjunction with Jackie Waller and myself to further increase our retail penetration. Julie will be handling Southeastern US accounts as well as a growing central and South American export market. Here’s to more Exciting Times as Smart Solar continues it’s growth. We thank you all for being an integral part of our success and keep a lookout for more announcements to come in the coming months.